We are currently running our first condition specific wellness program -- an eight week program for people that are diabetic, pre-diabetic or have family members that are diabetic, or pre-diabetic. We have 31 people participating. Diana Levin, designed the program when she interned with us and Lifework Strategies last summer. Prior to the start of the program, we offered A1C Screenings which I talked about here. A1c is a blood test that checks the amount of sugar (glucose) bound to hemoglobin. It is used to diagnose diabetes as well as check the long-term control of blood glucose levels in people with diabetes. Any employees who had an abnormal result received a phone call from a physician's assistant at Lifework Strategies who offered coaching and next steps. People that have an abnormal A1c result were also referred to our diabetes education program. In addition, Lifework Strategies went back through our Biggest Loser blood test results and contacted staff members with high glucose levels and suggested they participate in this program. I believe Lifework Strategies efforts were critical in getting people to participate in our program. We assembled a nice package of information for each participate and distributed them at a kick off that was combined with the first of four educational sessions. These informational sessions are supplemented by weekly peer discussions groups. We recruited three volunteers from the program participants to lead these sessions. Their role is to facilitate the groups getting together and to prompt discussion. We are participating in the DC Step Out: Walk to Fight Diabetes to close out the program. We intentionally set a very modest fundraising goal of $100 because our primary objective is to celebrate the close of our program and what we've learned together about diabetes. I'm pleased to say that we've already raised $335 and we're hoping to bring in some additional pledges before the event. I think this is going to be a great finale to our program and we'd love for you to join our team. 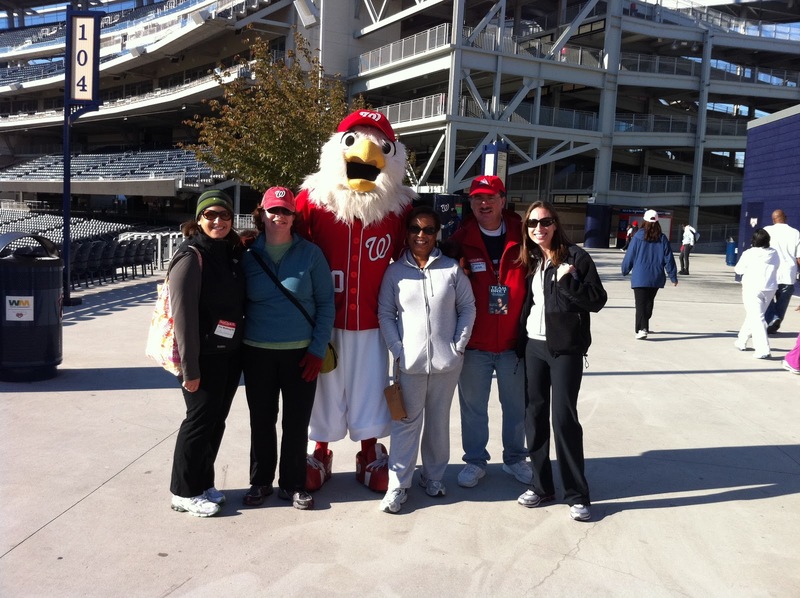 The walk begins and ends at Nationals Park on October 23, 2010 and you can choose a 2 mile or a 5 mile route. Here's a good article about why and how an employer can get involved in helping their employees manage diabetes -- Fighting the 'Stealth Scourge'. Update 10/23/10: Six of us completed the 5 mile DC Step Out: Walk to Fight Diabetes. It was a beautiful fall morning and a nice walk from Nats Park to Eastern Market and back. We raised $510.